The Far Cry series has visited tropical islands, snow-capped mountain ranges and even the land before time . 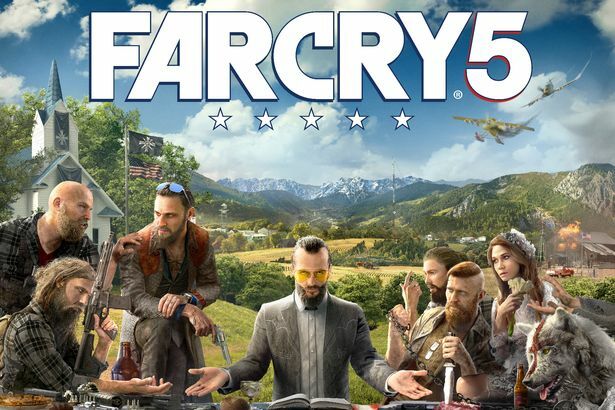 But for the next instalment in the massive, first-person shooter franchise, publisher Ubisoft finally decided to bring it to the ol’ US of A.
That’s where you find yourself battling a barbaric religious cult that has taken over the idyllic pastoral setting of Hope County. The decision to cast rural citizens as zealous psychopaths following a charismatic leader isn’t out of place for a Far Cr game. But given the current political climate in the US, entry number 5 in Ubisoft’s series is attracting plenty of attention. It’s also charging the hype machine for a game that many players are looking forward to. 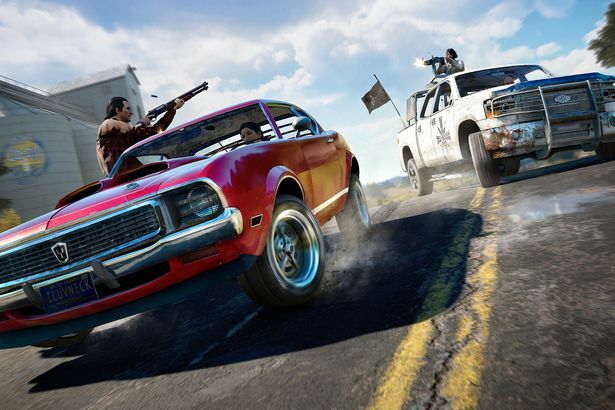 At the recent E3 conference in Los Angeles , Mirror Tech was able to get some hands-on time with the Far Cry 5 demo. We were tasked with liberating the small town of Fall’s End. Before you start, you’re given a choice of companion: Grace the sniper, Nick the pilot or Boomer the dog. Each has their own unique abilities and can be tasked with helping you fight the warped denizens of Hope county. Sending Grace squirreling up a nearby water tower with a tap of the D-pad, we begin to edge our way down a rocky bluff. A bunch of gun-toting hillbillies are standing around a petrol truck in the middle of the town’s main street and it’s our job to clear them out. Which is easier with a sniper covering our every move. 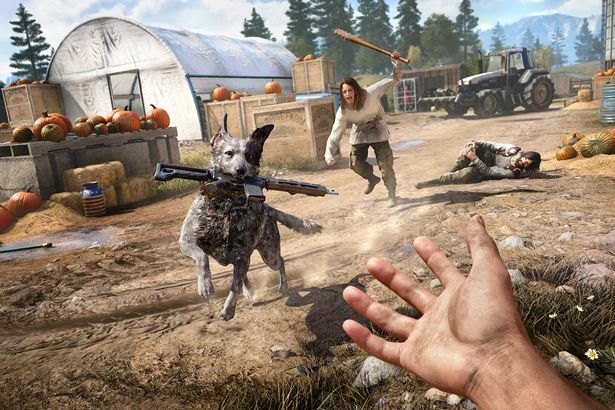 Controls are instantly familiar to anyone that’s played a Far Cry game before – as are the mechanics of hunting, crafting and healing. We didn’t get a chance to try these out ourselves, concerned as we were with Far Cry 5’s excellent gunplay. Flag up the inventory circle and you can chose handguns, rifles, grenades or even a baseball bat. Once you’re tooled up, you can opt to go in guns blazing or work your way quietly through the underbrush, pushing down on the right analogue stick to perform a stealth takedown. We opted for a combination and before long we had cleared the town of miscreants. Pretty soon we’ve hopped in Nick’s plane and are soaring above the fictional Hope County, dropping bombs on drug convoys and trying to out manoeuvre another plane determined to ground us. Opening up the air gives Far Cry 5’s vehicular mayhem another dimension and although it’s a bit of a twisty experience because of the analogue stick controls (one pivots the plane, the other your view inside the cockpit) it’s great fun. From out brief glimpse of the game it looks like Ubisoft has the necessaries in place for a great game. The setting is inspired, the story intriguing and the gameplay similar but different enough for a bit of variety. The only problem we can see with Far Cry 5 at this stage is that we’re going to have to wait eight months to get the full game.